The event expects to attract over 2 lakh participants and over 1,300 exhibitors. Up and coming technologies from startups will also be showcased at the event. 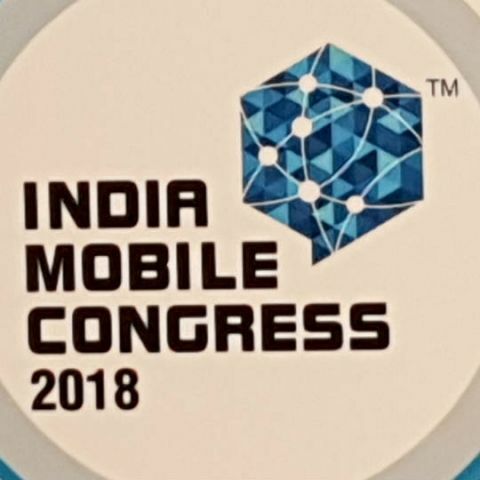 The curtain raiser for India Mobile Congress 2018 (IMC) took place on April 13, Friday where the Minister of Communications, Manoj Sinha announced that the event will be held between October 25-27 this year. The central theme around which this year's IMC will revolve is “New Digital Horizons: Connect. Create. Innovate.”, with a focus on 5G and other fields like blockchain, IoT, Artificial Intelligence, VR and AR, big data and more. The event will take place in New Delhi and IMC expects more than 200,000 professionals from the Telecom industry and 1,300 exhibitors to attend the event for demonstrating 5G and representing the startup ecosystem, Internet of Things (IoT) as well as Smart Cities. Partner countries from ASEAN (Association of Southeast Asian Nations) and BIMSTEC (Bay of Bengal Initiative for Multi-Sectoral Technical and Economic Cooperation) will also be taking part in the event and according to Matthews the use of 5G will be pertinent to India and will also apply for other countries as well.